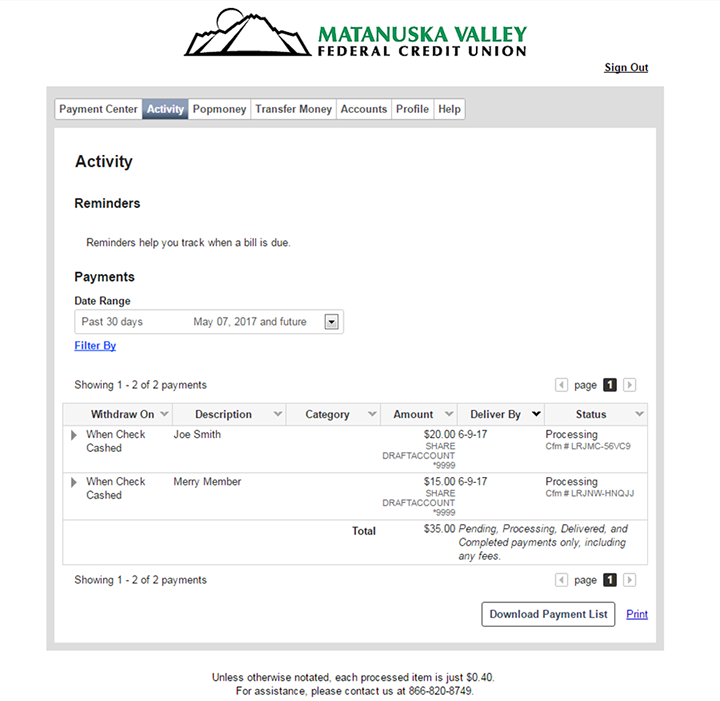 As a member of Matanuska Valley Federal Credit Union, we know that you value a fast and convenient way to securely manage all your payments! That is why we offer online Bill Pay through MV Online as our user-friendly payment center. Easily pay your bills, send money via text or email, transfer money to and from your account from other institutions, and even receive your bills from participating billers. All this for no monthly fee*! Log into MV Online and start using Bill Pay today! Conveniently see and schedule your payments in the Payment Center. Set up individual bill reminders or auto pays to any added payee! Reference the activity and status of the payments and reminders that you have scheduled. 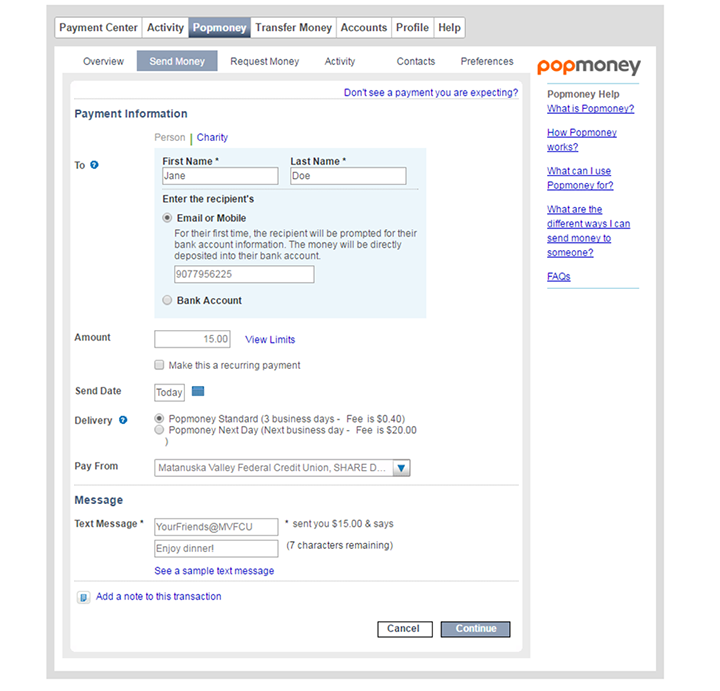 Popmoney is an innovative payment service that allows you to conveniently send and receive money as easy as a text or email. Need to transfer money from your account at another financial institution? 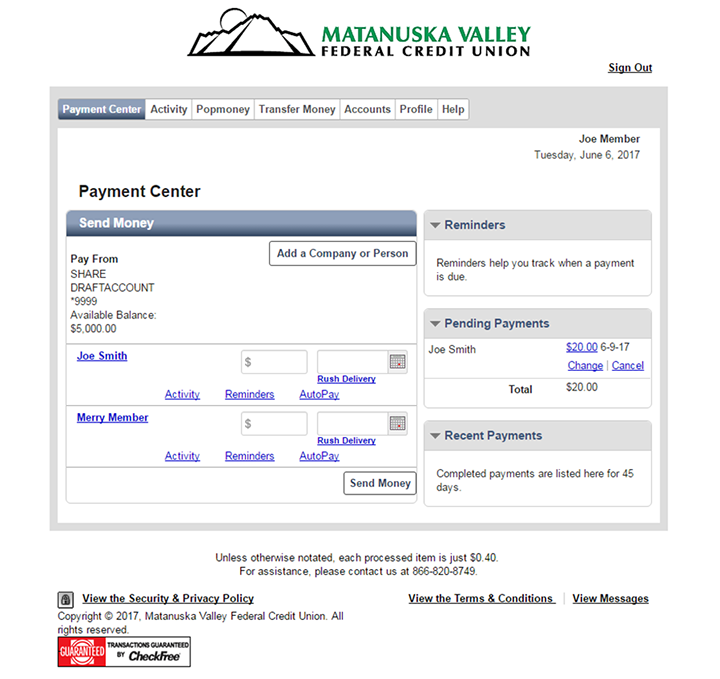 Easily electronically transfer money to MVFCU and vice versa. * $.40 Per-item transaction fee. Additional fees may apply. Manage Your Bills Online from Anywhere!